There are an estimated 1.1 million individuals in the United States living with HIV, though 1 in 7 do not know they are infected. 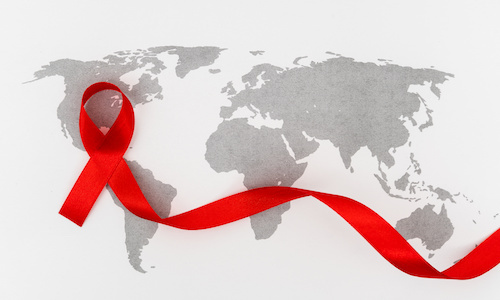 The annual number of new HIV infections declined by 8% from 2010 to 2015, while access to antiretroviral therapy (ART) drugs has sharply increased in the United States and worldwide. Individuals living with HIV who are on ART treatment can maintain an undetectable viral load and prevent sexual transmission of the virus to an HIV-negative partner. Substantial advances in the development and use of ART drugs have been key to stemming the spread of the virus and helping those with HIV live longer, leading to an overall significant decrease in mortality, and making AIDS a chronic, manageable disease in many countries today. According to the Centers for Disease Control and Prevention (CDC), about 58% of those diagnosed with HIV in the United States were virally suppressed in 2014. "The recommendations reflect the joint commitment of researchers working to collectively improve clinical outcomes and treatments available for all at-risk or infected HIV patients," said lead author Michael Saag, MD, director of the University of Alabama at Birmingham's Center for AIDS Research, in a recent statement. "We know that antiretroviral therapy is the cornerstone of prevention and management of HIV infection; but it's critical to continually evaluate new data and treatments for initiating therapy, monitoring individuals starting therapy, changing regimens and preventing HIV infection for those at risk, reaffirming the standard of providing the utmost treatment and care possible."